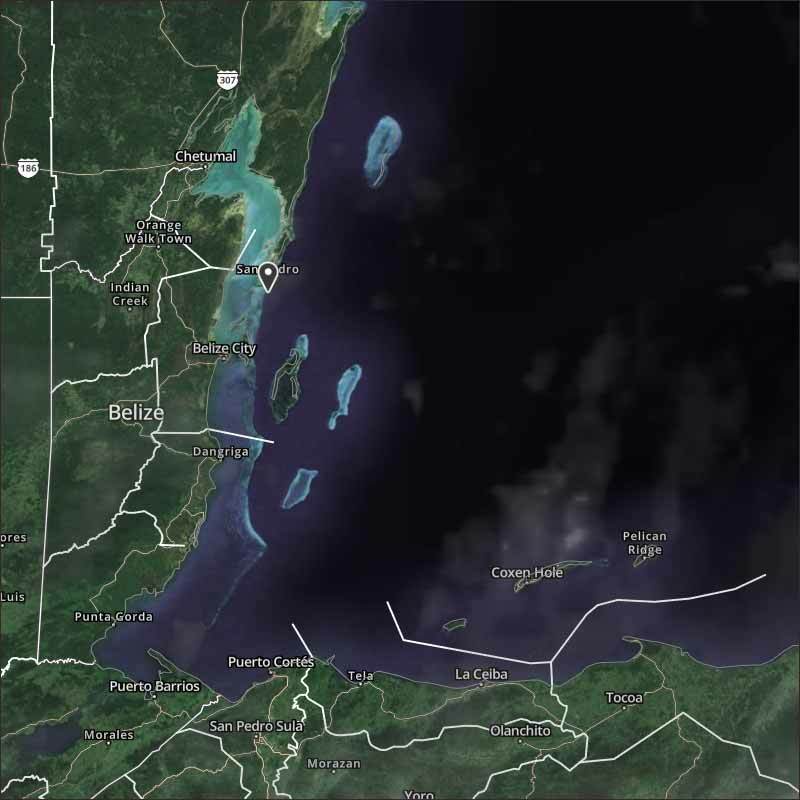 Belize NMS: Relatively moist and slightly unstable conditions prevail over the area. 24-hour forecast: Sunny with cloudy spells today and partly cloudy tonight. A few showers and isolated thunderstorms will occur mainly over northern areas. General Outlook: Sunny with cloudy spells tomorrow. A few showers and isolated thunderstorms will occur mainly over northern areas Wednesday spreading to most areas Wednesday night. Daily Tropical Weather Outlook: At 6:00am, Hurricane Maria was centered near 33.3N, 73.1W or 190mls SE of Cape Hatteras North Carolina. Hurricane Lee was centered near 30.0N, 52.5W or 745mls East of Bermuda. Today E-SE 10-20 kts Choppy-Moderate 3-5 ft A FEW SHOWERS AND ISOLATED THUNDERSTORMS. Tonight E-SE 10-20 kts Moderate 4-6 ft A FEW SHOWERS AND ISOLATED THUNDERSTORMS. Tomorrow S-W 10-20 kts Moderate 4-6 ft A FEW SHOWERS AND ISOLATED THUNDERSTORMS. Outlook E-SE 10-20 kts Moderate 4-6 ft A FEW SHOWERS AND ISOLATED THUNDERSTORMS. ITCZ swell-ups around us, one went up the coast last night but now clear, but there is a lot of activity in the Caribbean, which may result in rain in the next day or so, but not today. Looks like today will be mainly sunny, white clouds developing later, presently only a few spots of rain out at sea. This year, at least in Belize, and quite possibly much further, has been a odd year. The year started off, Jan & Feb with Temperatures higher than normal, both day max and night minimums. [ The normal temperatures are Red and Blue dotted lines. ] But then night minimums followed closely with the normal, but the day maximums have been well below the normal for most of the year. ( There are two Red and Blue lines showing here, the zig-zag ones are the daily readings, the flatter lines are the rounded ±15 averages, show the general trend better. I wonder, if Belize has had it so different this year, weather it is possible that what ever has caused it, could also have effected the number of hurricanes we have had this year. Despite this years temperatures being significantly lower than previous years. And yet, many of us have been complaining about the heat this year, which might be more about lower temperatures resulting in higher humidity, which makes it feel hotter than usual when you try to do any work.